Stress can be a tricky thing for employers to deal with. There is no specific legislation aimed at workplace stress, but employers do have legal duties to look after the health, safety and welfare of their staff. Excessive workloads and working long hours can be clearly linked to stress. Other reasons, such as bullying in the workplace, or even external factors, such as dealing with grief, might also be the cause of stress. Implement a “stress in the workplace” policy. This policy should set out guidance on how your employees can inform you about their concerns and how they can deal with the effects of stress. Train managers to identify situations which are likely to cause stress and to recognise the symptoms of stress and how to manage employees who are suffering from stress. Use return-to-work interviews when an employee has returned to work from a stress-related sickness absence in order to identify any underlying stress related reason for absence. Similarly, you should use periodic performance appraisals as an opportunity to identify any stress related issues which are causing your employee to underperform. 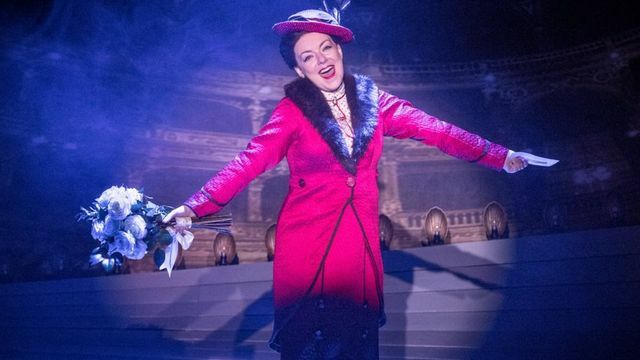 Sheridan Smith is to take time off from her role as Fanny Brice in the stage musical Funny Girl due to stress and exhaustion, the show's producers say. Smith, 34, will be taking between two and four weeks of leave from the West End production at the Savoy Theatre.Her part will be played by understudy Natasha J Barnes.The producers said 34-year-old Smith, who has pulled out of a small number of performances in recent weeks, would get "the rest and support she needs".